At Blackpool Lock Services we can help you with a variety of emergency locksmith services. We never think it’s going to happen and it is very rare but there’s many ways a lock can just stop working. Whether it’s due to general wear and tear, accidental damage or vandalism when faced with a broken lock you’ll quickly need the help of an emergency locksmith. At Blackpool Lock Services we cover more than just Blackpool we also, cover the surrounding areas like: Lytham St Annes, Poulton Le Fylde, Fleetwood and Thornton Cleveleys. Getting locked out or indeed inside your property is a stressful situation that causes a lot of delays and in the case of commercial properties like shops and other businesses it could lead to the loss of money. That’s why you can count on Blackpool Lock Services to get any emergency locksmith job done quickly, so you can regain access to your property quickly. We also provide a variety of different services so you won’t always need to buy new locks and keys. 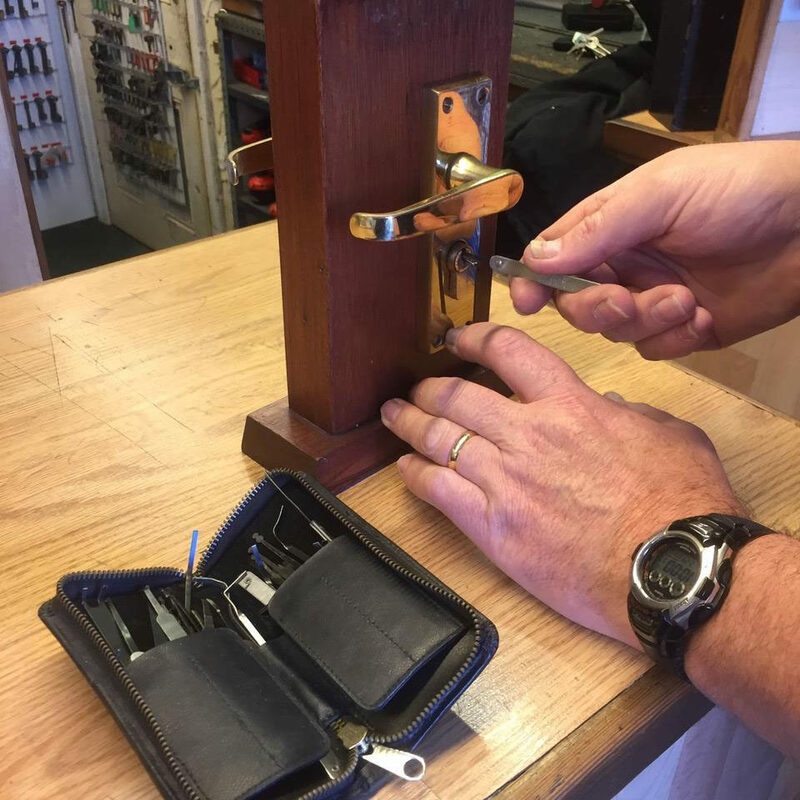 Whether it’s a house, apartment, shop or any other type of property Blackpool Lock Services emergency locksmith service can help you get access to your property quickly. Let’s take a more detailed look at all the emergency situations we can help you with. Left your keys inside before you closed the door? Or perhaps even lost them during the day? There’s many common ways you can end locked out of your home and when you do you’re going to want to regain access quickly. That’s where Blackpool Lock Services can help as our locksmiths will be able to help you get access to your home quickly and they can also fit new locks or if possible even repair your present one. Did you lose your keys or did one break in the lock? Yes that really can happen and when it does you’re going to need a professional locksmith to help you get the problem fixed. We can remove broken keys and help you regain access to your property we also provide a professional key cutting service as well. The lock on a house or flat isn’t always going to be the same kind of lock on a commercial property but, not being able to access any property whether commercial or domestic is going to be a stressful situation. But, we can help you quickly gain access to any property quickly, whether it’s a place of business or residence. A break in is a stressful situation for anyone and you’ll need a professional locksmith to be on hand to help you ensure the property is secure. The locksmith’s from Blackpool Lock Services will be able to make sure your property is secure and replace or repair any locks. Quick and timely emergency locksmith services. Key cutting for lost keys. Replacement locks for damaged locks. Repairs after break ins and vandalism.